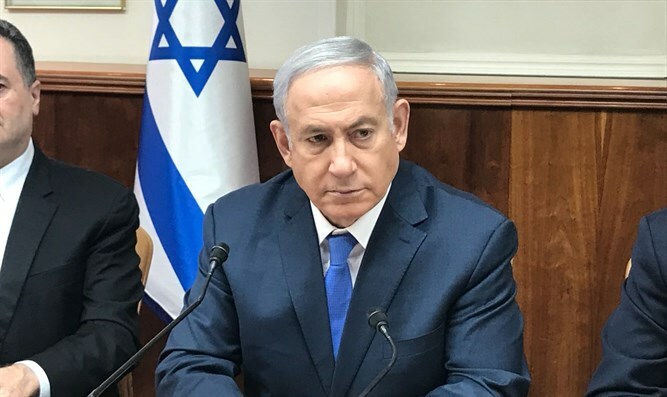 Prime Minister Netanyahu opened the school year today, Sunday, with teachers and students of the “Breuer” School in the community of Yad Binyamin in central Israel, which had absorbed families evicted from Gush Katif as part of the "Disengagement" plan. Netanyahu referred to the US president Trump’s decision to stop funding UNRWA, expressing support for the American move. "This community absorbed evictees of Gush Katif. The evictees of Gush Katif, their lives could have been a tragedy, a terrible catastrophe. It began with terrible pain, but the State of Israel and all the citizens of Israel worked together so that the displaced people of Gush Katif would not be refugees in their own country. We absorbed them, and they renewed their lives to wonderful life. There is the memory, but there is the present and future which have already changed, and this gives new life and great hope," he said. "Thus we acted in the State of Israel, even when we did something which I think did not have to be done, but it happened - and we dealt with the problem. "Didn’t refugees come here from all kinds of countries? Holocaust survivors ripped from their lands? They were uprooted, survived, and came here. Did we leave them refugees? No, we absorbed them, as well as from Arab countries. We didn't leave them refugees, we turned them into contributing and equal citizens in our country. "That's not what happened with the Palestinians, where they created a special institution 70 years ago - not to absorb the refugees, but to eternalize them. The United States did something very important when it stopped the money for UNRWA. It is finally starting to solve the problem. The refugee institution must be cancelled, the money must be taken to really help rehabilitate the refugees, whose number is much smaller than the number reported in UNRWA,” Netanyahu said. He also spoke of his experience as a student. "I remember my first day in first grade, how excited I was. I remember the first day of my children at school and how excited they were. I want to offer you suggestion for life - always be interested in learning and desire to learn. I never stop reading,” Netanyahu told students. The prime minister added, "I remember my first grade teacher and all the teachers from the school. I was always excited to come to school, I wanted the summer to end already, even though I greatly enjoyed the big vacation."